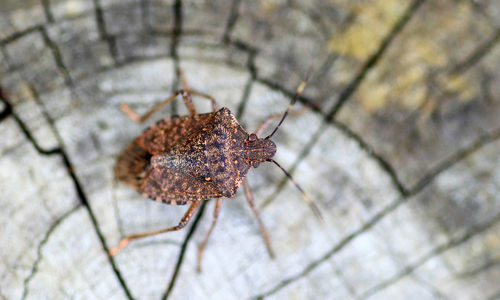 The most common variety of pest stink bug is the brown marmorated stink bug, which is what we’ll be focusing on this page. Brown marmorated stink bugs are an invasive species that found their way to the United States from Asia in the mid 1990s. They’re shield-shaped insects that come in shades of mottled dark brown, with banded wings, straight antennae, and an average size between 12 and 17 mm in length. A single female will lay between 20 and 30 eggs that she’ll hide and secure on a host plant each summer. It takes less than a week, usually around four days, for the eggs to hatch. Within a few months, all these new babies are now adults that will be prepared to start their own reproductive cycle the following summer. They’re not a physical threat, but they are capable of being a considerable nuisance. Stink bugs like to chew up any greenery they can find including your house plants and gardens. Another distinct feature of stink bugs is the namesake odor they emit when crushed (which is why when it comes to removing them, it’s always better to call a professional). Honestly, you were just unlucky. Due to their distinctive flat body-shape, these bugs are really good at getting in through cracks and difficult places that most other bugs can’t. They don’t like cold weather, so they’re especially inclined to burrow inside through imperceptible cracks, holes, or tears in or around all home entrances or exits. They’re attracted to light and warmth, so don’t be surprised to find them on or around your porch while they plan their way inside. 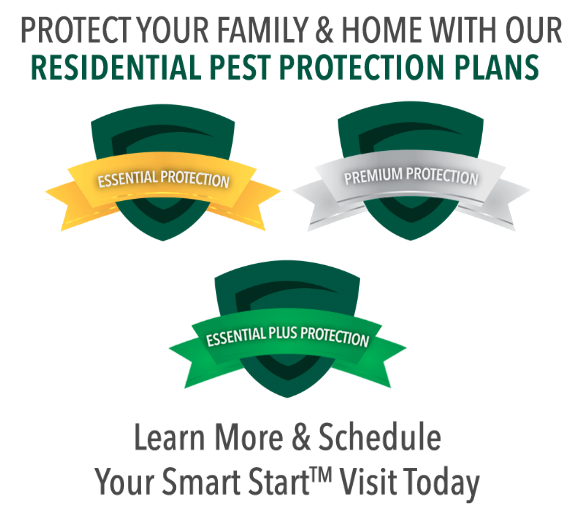 Like with most pest insects, there are general preventative measures all homeowners can take. Make sure all cracks around doors and windows are sealed with caulk, repair any torn or damaged window screens, make sure all your weather stripping is up to date, and stay aware of how easy their small bodies can fit through even the most minuscule opening. How can Gregory Pest remove stink bugs from my home or business? An expert exterminator from Gregory Pest Solutions will be your full-service pest solutions provider specializing in the effective, exclusion and prevention of stink bugs from your home or business. Whether your problem is seeing a few or an entire nest of stink bugs, our experts will develop a plan of action that will eliminate any that are currently in your property and prevent them from becoming re-established in the future. Using expert knowledge, targeted baits, and similar efforts, we can guarantee you peace-of-mind knowing that stink bugs will not continue to be a problem for you.